Have you ever found yourself wondering if your new idea would work on your job or within your business? What about having doubts about going forward on a decision to do something out of your comfort zone? Well, I can tell you that I have many questions pop up and at times, it can be very overwhelming when I’m only just needing concrete answers. When I started my event planning business in 2006 (officially), I was scared. I was nervous. And, I had many people in my small little city that I may not survive because “they tried it”, “people don’t want to pay”, “there isn’t a market for it” and so on. Listening to the fears of others made me fearful. I started to second guess if this was actually a venture worth investing time, money, and my name. So, how did I make it to 2018 still in business? My faith. I would be lying to you if I told you that I didn’t include my faith in God in my business. When I take the time to meditate and read my Bible, I am provided with peace and direction. Today, many people make it seem as if being a business owner or a boss is such a glamorous thing, well it actually isn’t. You will need strength to deal with people, issues that come up, slow days, busy days, mistakes, and exhaustion. And, in my experience, the strength that I needed came from spending time building my faith and trusting in God. It gets me from day to day, month to month, and year to year. Faith is important in your success. Faith is needed in almost every area of our life: work, creative projects, philanthropic efforts, small business endeavors and even in the relationships that we build and nurture. You Are Created To Do Something Wonderful. God has created each on of us to do something wonderful and share that wonder with others. If you have a reoccurring thought or idea, sit quietly and seek the Lord on what steps to take to become bold about your gifts and talents. And have faith in yourself! Have faith in yourself! Have faith in yourself! You were created for THIS! Doubt is created to throw you off course. It will present every valid reason why you shouldn’t do something. Doubt=Distraction…don’t fall for it! When you remove the fear that constantly tells you that you are mediocre, it’s a lie. You are here on this Earth, in your city, reading this message, for a reason. Your ideas that lie within you are here for a reason. You must take action on them. When you get afraid to step out on faith, that is even more the time that you should believe in the impossible. And, to speak faith statements about you and your success. Write out affirmation that start with “I Am” and speak them boldly. 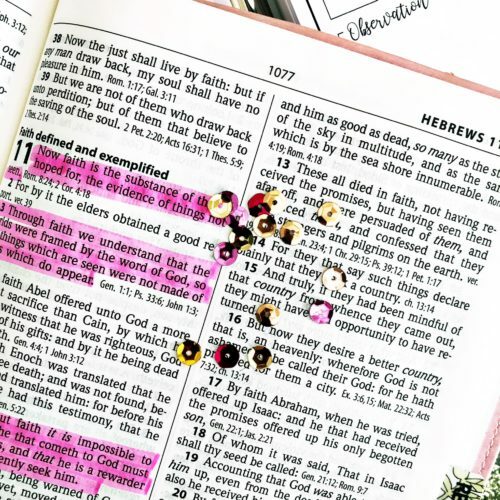 Find faith scriptures in the Bible and memorize them to speak over and over during the day. Pray daily for faith and boldness in your life, professionally and personally. Romans 4:17, tells us to call the things that are not, as though they were. You have the power to speak faith and life into your business. Let me put it this way, you have the power and authority to speak life into your business. Friend, I want you to know that I believe in you. And, I’m praying that you believe in You and the gifts that God has given you. Once you know that He has your back, you can not be stopped. Go Make Great Things Happen Today!